Sol 2365, April 2, 2019. Curiosity has driven to where it can examine the outcrop where mission scientists hope to make the next drill hole. (For more about the drill planning, see here.) 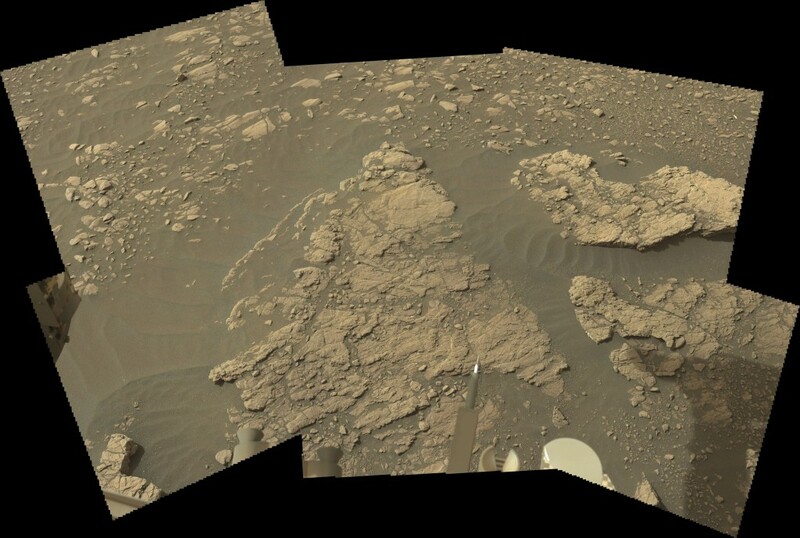 This composite of six Mastcam (34mm) frames covers the rover’s workspace. Click the image to enlarge it. Sol 2365 raw images (from all cameras).